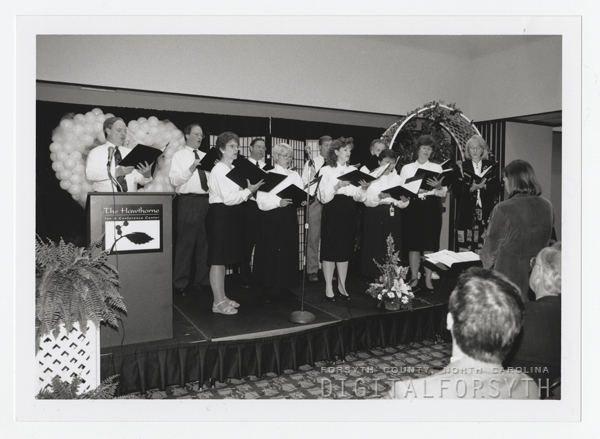 Members of Wake Forest University Baptist Medical Centerâ€™s chorale, dubbed Hawthorne Hill singers, entertain during a 1997 celebration for Medical Center volunteers. The chorale is made up of employees, volunteers or students affiliated with the Medical Center. There are no auditions and members must be willing to attend rehearsals and several performances.